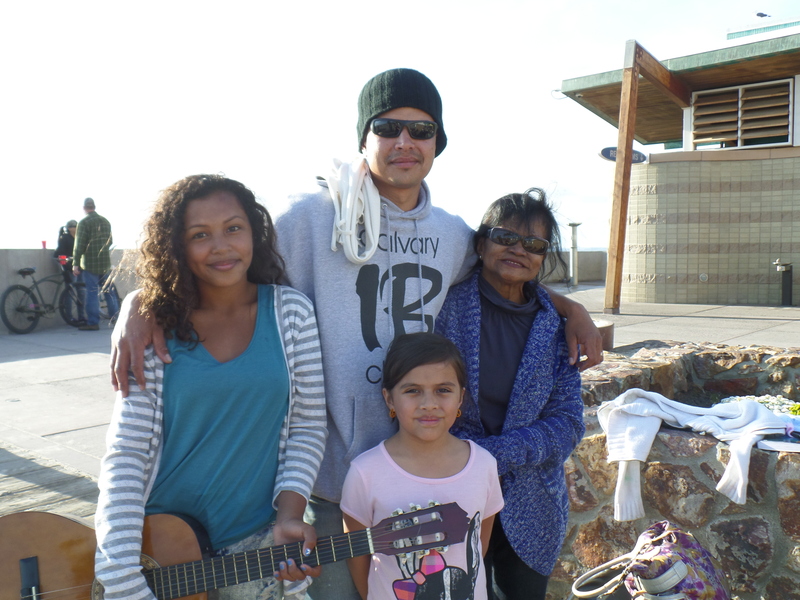 I met Daniel the 2nd time I played at the beach by the pier. He was excited that I was playing songs about Jesus and he quickly introduced himself. He told me he often comes to hand out bible tracts and info about the the local Calvary church he has been attending. He encouraged me to come. It has been about 4 weeks since I met Daniel and he has been witnessing to people when I play. Last week he brought his family with his mother, niece and daughter. It was a blessing to hear his niece and play guitar and sing as well as his young daughter. It was especially good to hear his mother, Maria’s testimony. Maria told me she didn’t know how to reach God and that he could even help her. It wasn’t long until she found a church that led her into salvation with Jesus Christ. She told me God takes care of all her needs and helps her to take care of her niece. I prayed with her for continued help and that God would show her the plan she had for her life and for her family.